But you can join EPIC2019! The EPIC2019 theme is Agency: What does it mean to have agency in an increasingly automated world? Businesses are investing in “intelligent” technologies that promise to take humans “out of the loop.” But human agency is not disappearing—it’s evolving, and humanistic perspectives are more essential than ever. EPIC2019 will explore how our models of behavior and culture shape spaces of opportunity and risk for diverse people and organizations. We invited ethnographers and technologists of all backgrounds to advance the value of our work through the prism of agency. Read the full conference theme. The Program Committee invited proposals for Papers, Case Studies, PechaKucha, Film, Gallery, and the Graduate Colloquium. Most contributions should draw on theoretical advances in ethnographically informed social science research and aligned disciplines, coupled with applied best practices from professional fields. We welcomed contributions from any discipline, industry, or organization in the private, public, or nonprofit sectors that creates and applies ethnography. General registration for EPIC2019 opens April 30 and anyone can attend; it is not necessary to submit a proposal (see registration FAQ). At least one co-author/creator of all accepted proposals must purchase registration and attend EPIC2019 to present your work. Registration rates and information are here. We will hold space for one presenter per accepted submission, so you can wait to register until acceptance notifications are sent. However, registration opens April 30 and may sell out quickly, so we recommend registering right away if more than one co-author wishes to attend. Your registration is refundable through October 9. Submission – Individuals are permitted to submit only two proposals in total as author or co-author across the formats, so please focus your efforts on your strongest contribution. Review – Paper proposals go through a double-blind peer review process overseen by the independent Paper Committee. Case Studies, PechaKucha, Film, Gallery, and the Graduate Colloquium submissions are juried (blind, with the exception of the Colloquium) by committee. Reviewers will weigh the relevance of proposals to the EPIC2019 theme Agency, but overall quality and value to the EPIC community will be prioritized above precise alignment with the theme. The invitation to technologists is in addition to, not instead of, our interest in proposals representing the full range of ethnographic methods. Development – EPIC prides itself on a high standard of written and presented material and session curators work closely with authors and presenters to develop their work. Authors of accepted submissions are expected to agree to a series of deadlines for submission of draft versions of their presentations and published texts. Before submitting a proposal, we recommend that all authors ensure they have the time and interest to engage in this process and can secure all permissions required to write for publication. At least one co-author must purchase registration and attend EPIC2019 to present their work. Publication – Papers and Case Studies will be published in the open-access journal Ethnographic Praxis in Industry Conference Proceedings (ISSN 1559-8918) and in the EPIC library on epicpeople.org, for which purpose all co-authors are required to sign an author agreement. All presenters must sign media agreements that allow EPIC to video record conference events, which is shared in our video library. Specific guidelines for each submission format are detailed below. We invite papers that advance ethnography in industry by presenting new developments in ethnographic research that emphasize the interplay between theory and practice. Papers are essays that: expand our community’s knowledge base of contexts and offers; reflect constructively on theoretical concerns; or present methodological advances. Paper submissions must go beyond reporting a single project’s findings (see Case Studies for proposals based on single projects). They must demonstrate the links between new insights and ongoing debates in ways that will advance our field and build on the work of others, referencing other projects, concepts, or data sources. In addition to submitting a written paper for publication, authors will make a ~15 minute presentation at EPIC2019. We encourage papers from authors in diverse disciplines. Relevance to the EPIC2019 theme Agency will be taken into account in the review process. Watch examples of Paper, Case Study, and PechaKucha presentations here. To facilitate blind peer review, do not name or reference the identity or affiliations of any co-authors within the proposal document itself. You will enter this information separately in the submission process. Additional guidelines for developing, formatting, and delivering final papers and conference presentations will be provided to authors whose proposals are accepted. Cases serve as real-world examples for fellow practitioners, academics, or students of how ethnography is used to address a specific product, service, project, or organizational issue. An EPIC case study typically accounts for the “who, what, when, why, and how” of situations where a researcher informs a challenge in a concrete business, not-for-profit, or social context. It describes the final outcomes achieved through such applied research. Case studies of instructive challenges, complexities, and failures are especially encouraged. Please read two brief blog posts about EPIC case studies, here and here. Cases need to present completed engagements, not early-stage or work-in-progress activities. In addition to submitting a written case study for publication, authors will make a ~15 minute presentation at EPIC2019. We invite case study proposals from a diverse range of disciplines and encourage computer scientists and technologists to submit as well. Relevance to the EPIC2019 theme Agency will be taken into account in the review process. 1-page outline demonstrating the anticipated order of your case study’s main points, including final outcomes and lessons learned. Additional guidelines for developing, formatting, and delivering final case studies and conference presentations will be provided to authors whose proposals are accepted. 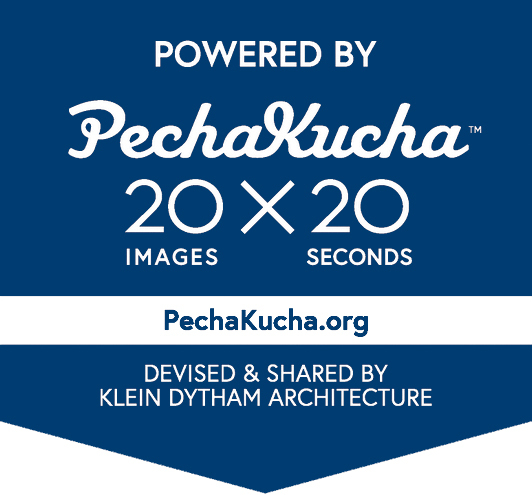 PechaKucha (pronounced “peh-cha-ku-cha”) presentations are a rapid-fire performance of 20 image-rich slides. Each slide shows for exactly 20 seconds before automatically moving to the next. Total presentation time is 6 minutes, 40 seconds. PechaKuchas are performance poetry with visual punch. EPIC PechaKuchas may not be mini project debriefs (stuffed with findings and results). Rather, they should tell a compelling, relevant story by expanding outward from a single research moment, insight or study participant; or taking on a compelling concept or theme across different studies, field sites, even whole careers. Here is your chance to make research visually and verbally lyrical. We encourage submissions from authors in diverse disciplines. Relevance to the EPIC2019 theme Agency will be taken into account in the review process. A draft PechaKucha presentation with 20 slides and draft performance script (bullet points acceptable) for each slide. Images in the proposal should be low–medium resolution to reduce file size. This will not affect the evaluation of your proposal. Visual approaches have long been part of ethnographic work, and films are increasingly requested as a deliverable. The Film/Animation track provides a venue for critical discussion about how these works are constructed and read. Film/Animation submissions will showcase forays in visual research and storytelling by screening examples and discussing the limits and possibilities of the moving image. Film submission can either provide a trailer or a final cut. Please note that the final version should be approximately 15 minutes long. We encourage submissions from diverse disciplines. Relevance to the EPIC2019 theme Agency will be taken into account in the review process. Context description, 500 words maximum. This should describe the context of production and screening, and how this piece speaks to visual ethnography and advances our understanding of film. Please be clear as to whether you are submitting a trailer or a final cut. To facilitate blind peer review, do not name or reference the identity or affiliations of any co-authors within the proposal document itself. You will enter this information separately in the submission process. We realize that fully anonymizing a film that could include your voice or face might be more difficult than a written piece. Please make as much of a good faith effort as is feasible. In Gallery, we welcome submissions in any medium that plays or could play a role in ethnography in some way. It might be an artifact that comes out of ethnographic research processes, or a prototype, cultural probe, or a critical making piece that raises ethnographic questions. Display space will be available for two or three-dimensional work. We will provide electrical power on request, and basic Internet connectivity will be available (may not be reliable for high-bandwidth needs). Other special requests will be resolved on a case-by-case basis. If you have a very large or complicated installation to share, please indicate in your proposal whether you would also consider showing an interesting photographic or video representation in the event that space becomes a constraint. We encourage work from people in diverse disciplines, including ethnographers, artists, designers, technologists, etc. Relevance to the EPIC2019 theme Agency will be taken into account in the review process. Context description, 500 words maximum. This should be a short description of the context surrounding the work and its relationship to ethnography. Short description of the anticipated display dimensions and any other technical requirements, 150 words maximum. If your work is particularly large or has other requirements, tell us about any options that would allow you to work around any limitations we might encounter. The Graduate Colloquium is a day-long forum when PhD and Masters students engaged in supervised thesis research meet to discuss their research, present issues of concern to them, and receive feedback from a panel of distinguished researchers and practitioners as well as other student participants. We welcome applicants at any stage of their graduate research project from a broad range of disciplines across the social sciences as well as professional and technical fields, including (but not limited to!) anthropology, sociology, communication, information science, cognitive science, design, organizational studies, STS, HCI, business, and related fields. Colloquium Committee: John Cain, Chair (IIT Institute of Design); Melissa Cefkin (Nissan Research Center – Silicon Valley); Giles Harrison-Conwill (User Experience Researcher, Google). Applicants’ research should involve the application of ethnographic theory and method in the context of business and industry (both for profit and not for profit). Selection will be based on the overall quality of the application and relevance to the EPIC mission of promoting the integration of social and cultural perspectives, theory, and method into business and organizational practice. Participants will be expected to give short, informal presentations of their doctoral or masters research during the Colloquium, to be followed by discussion. A 1-2 page overview of your doctoral or masters research, including a statement of your research problem or rationale, research questions and methods, the status of current work, and expected contributions to your field of interest. A brief statement of career objectives, 150 word maximum. These may be either academic or practice-related. A brief statement of Colloquium goals, 150 word maximum. This should describe what you hope to gain from attending the EPIC Doctoral and Masters Colloquium. A brief biographical sketch, 150 word maximum. Optional: A letter of recommendation from a research mentor or advisor, sent directly to colloquium@epicpeople.org.